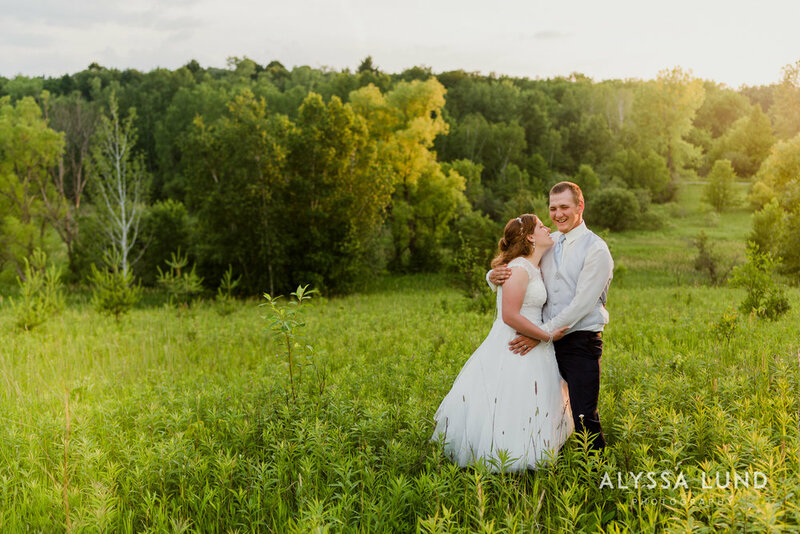 Jake and Rachel and their sunny, outdoor Minnesota wedding. These two had a beautiful, happy celebration on Saturday!!! They spent their day surrounded by family, dancing with their best friends, and walking through the most stunning sunlit fields. Rachel and Jake, I'm sending you my biggest congratulations (plus a giant hug). Thank you for being warm, kind people and for welcoming me in to document your love and community. I can't wait to share more of these images soon!! I love outdoor weddings and natural, emotional pictures. Are you planning a wedding or looking for a photographer? Feel free to click here to learn more about my wedding photography or to download some info/pricing about my work.